A brain injury can be devastating for both the individual and for their family and friends; lives can be changed in an instant. The initial shock and immediate medical treatment following a brain injury will usually lead to a period of adjustment and rehabilitation. And it can be a lengthy process because it’s almost impossible to predict how far or how fast people will recover from their injury. The scale and volume of issues that people are suddenly faced with can be overwhelming. Getting the right diagnosis, managing symptoms and accessing rehabilitation, finding support in the community, managing the emotional impact, dealing with financial and legal matters – the list is long and complex and places great demands on people at their most vulnerable. The Brain Injury Group exists to support everyone affected by brain injury by providing access to the services and support they need – immediately and in the longer term. 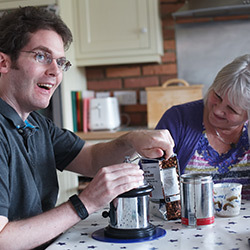 We understand the complex needs faced by the whole family, and our unique membership network combines the best quality legal advice with other support services to provide access to a complete package of care and support for brain injured people, their families and carers. Our website is intended to provide access to general information on a wide range of subjects that present themselves after an injury or during the course of rehabilitation. 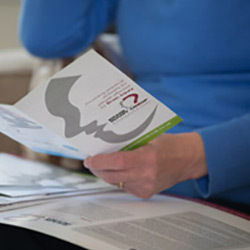 As well as pages dedicated to particular topics, you will find a series of fact sheets and opinion pieces (Insight) within our publications section.